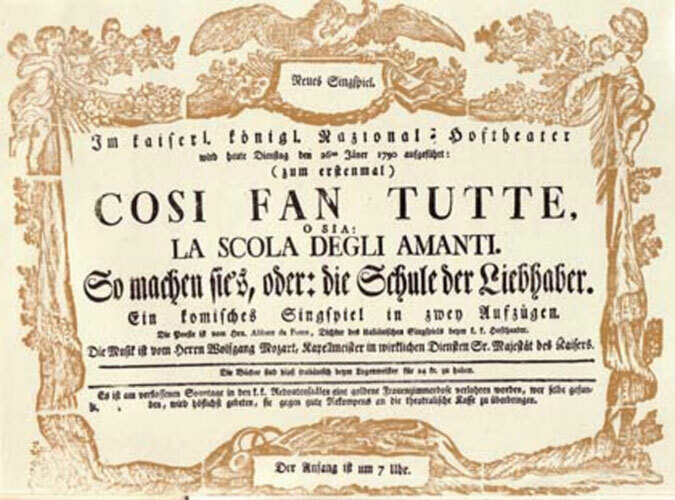 “Tutto il cielo e’ splendente” is the first Italian translation of her work. The Italian poet-translator and the illustrator will present their new book with readings in both languages and a musical interlude. Presentation by Anna Maria Forti Sheikh. 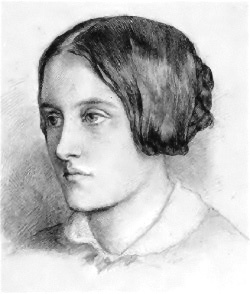 Christina Rossetti, one of the most original voices of her century: 1830-1894. An English poet born in 1830 to Gabriele Rossetti, a poet and a political exile from Vasto, Abruzzo – Italy and Frances Polidori, the sister of Lord Byron’s friend and physician, John William Polidori. Christina wrote a variety of romantic, devotional and children’s poems including ballads, love lyrics, and sonnets. Best known for her long poem Goblin Market, her love poem Remember, and for the words of the Christmas carol In the Bleak Midwinter. Her brother Dante Gabriel Rossetti became an influential Pre-Raphaelite artist and poet. Christina’s writing was influenced by the work of Dante Alighieri, Petrarch and other Italian writers. Her home was open to visiting Italian scholars, artists and revolutionaries. The evening will conclude with a glass of Italian wine and nibbles. Einar Jóhannesson studied the clarinet at the Reykjavík College of Music with Gunnar Egilson and continued his studies at The Royal College of Music in London, where he won the coveted Frederick Thurston prize. 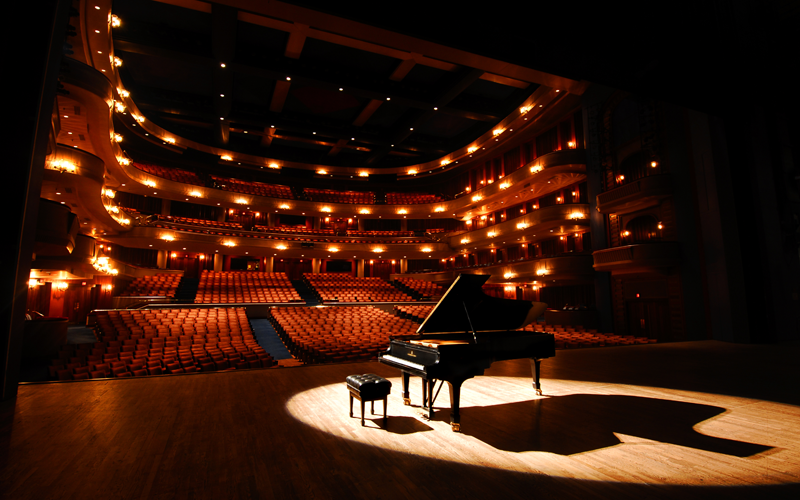 He has appeared as a soloist and chamber music player throughout Europe, Asia, America and Australia. He is principal clarinet of the Iceland Symphony Orchestra, solo clarinettist of the Reykjavík Chamber Orchestra, and a founding member of the Reykjavík Wind Quintet. Alessandra Pompili is a classical pianist with a focus on presenting original and creative programmes to audiences. She has performed for years as a soloist to critical public acclaim in Italy, England, Hungary and the U.S.A.
She lives in Manchester and is an active member of our Society. The event is jointly organised by St Ann’s Church and Societa’ Dante Alighieri in Manchester. A fine film depicting themes, with much foresight, that have nowadays become prominent in daily life. 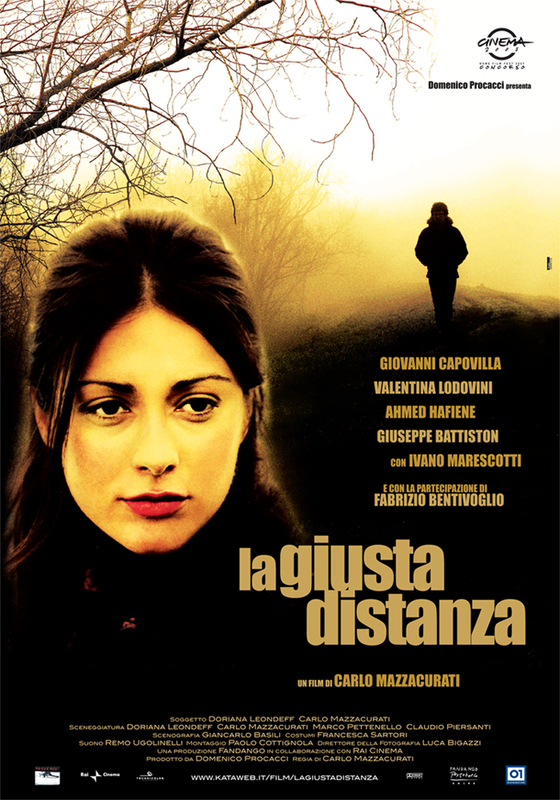 The film was awarded with a ‘Nastro d’argento’ for best script, and nominated for several ‘David di Donatello’ awards, including categories for best film and best actress. ITALY 1929-1945: WHAT DID REALLY HAPPEN? The first of two talks will aim to broaden the knowledge of – and provide some clarifications on – the dramatic events of the Fascism and the role of Italy in World War II. Events sadly often perceived too simplistically. A glass of wine and Italian nibbles will follow. During the social gathering you will have the opportunity to discuss the presentation. The last of two talks will aim to broaden the knowledge of – and provide some clarifications on – the dramatic events of the Fascism and the role of Italy in World War II. Events sadly often perceived too simplistically. In the past few years we have celebrated the ‘Ferragosto’ (15th August) with a ‘pizza evening’ and also this year Silvana and Manuela will meet at DOM’s in Deansgate. If you like to join us please contact dante@newfuture.org BEFORE Monday 13th August and we will book a table accordingly. Each of us will pay separately for his/her own pizza and drink. Origin of “Ferragosto” – The term Ferragosto derives from the Latin feriae Augusti (Augustus’ rest) indicating a festivity set up by the emperor Augustus in 18 BC which was an addition to the existing Roman festivals celebrating the end of the main agricultural tasks. During the celebrations, horse races were organised and labour animals were dispensed from work and decorated with flowers. Such ancient traditions are still alive today, virtually unchanged in their form and participation, during the “Palio dell’Assunta” which takes place on 16 August in Siena. The popular tradition of the Ferragosto trip arises during Fascism. Starting from the second half of the 1920s, in the mid-August period, the regime organised hundreds of popular trips, due to the setting up of the “People’s Trains of Ferragosto”, at hard discounted prices. The initiative gave the opportunity also to the less well-off social classes to visit Italian cities or to reach seaside and mountain resorts. 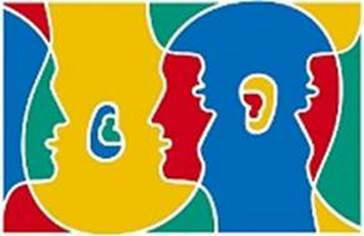 The European Day of Languages is celebrated on September 26. This day represents 800 million citizens of 47 countries and honors the linguistic diversity of the continent of Europe, with more than 200 languages of its own. Instituto Cervantes is once again participating in this welcome initiative and invites everyone to join this celebration of the linguistic and cultural diversity in Europe, which seeks to underline the importance of learning languages; increase knowledge and awareness of the value of languages, and encourages the continued learning of languages throughout life. In order to raise awareness about the great variety of languages that characterises Europe, Instituto Cervantes in Manchester, in collaboration with the Europia, Alliance Française and Societa’ Dante Alighieri, is organizing a series of activities at its headquarters including taster classes of different European languages. The taster class for Italian will be run by Silvana Serra. From Giotto to Michelangelo, Dante to Petrarca, Firenze to Roma, Italy’s Renaissance left an indelible mark on the Victorians. Former special collections librarian, Emma Marigliano, explores how British artists and poets reinterpreted and mythologised Italian culture for the British public. Italian nibbles and wine will be offered after the talk. 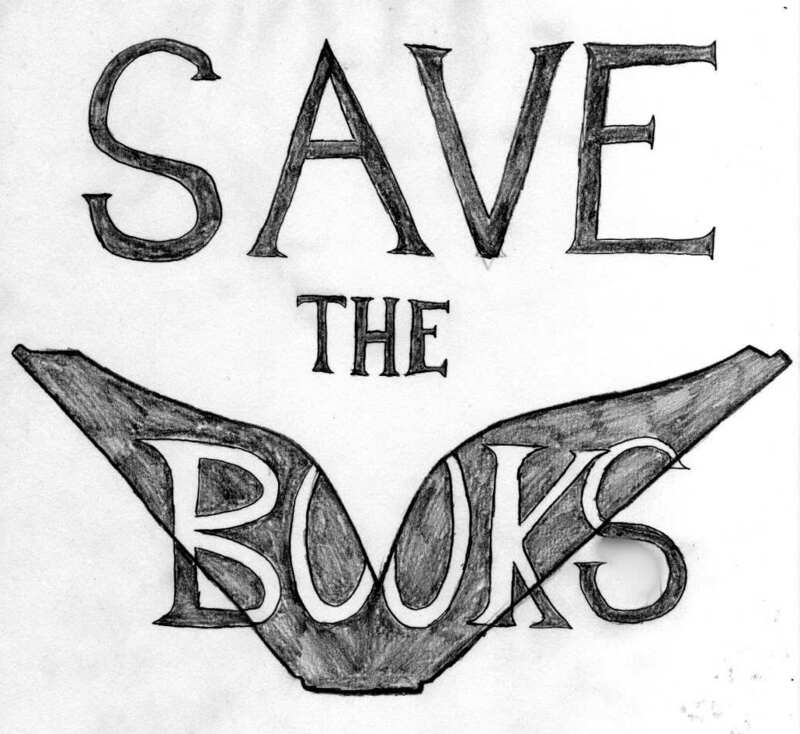 Join us to open the boxes of Italian books donated to our Society, which are stored in the basement of Victek’s building. Also take a browse at the books on the shelves upstairs and help us to find a “good home” for them! You can spend between 1 and 5 hours practising your Italian (or not) and have a break with a slice of panettone and a glass of prosecco. You will also find ‘pasta GAROFALO’ to buy at £1/packet to stock for the coming Holidays. A hamper of pasta can be a great idea for a present to family and friends! Don’t forget to bring few carrying bags! Victek’s building is located just before Tesco/Esso petrol station and the Apollo theatre roundabout. There is parking space inside the petrol station and in the streets around the garden/park. On foot from Piccadilly station: approx. 10 min. Join exhibition co-curator, Rebecca Milner for a fascinating talk on the Manchester-born artist Annie Swynnerton. Take a closer look at some of Swynnerton’s paintings and discover how she captured the unique qualities of light in the Italian countryside. Explore how the artist’s passion for the sun and its visual and sensory effects shaped the way she represented joy, hope and female empowerment. 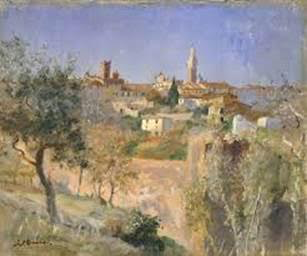 Swynnerton first visited Rome in 1874, living for extended periods there between 1883 and 1910. The talk will take place in gallery 1 – FREE – open to the public. Portraits showing the artist’s Manchester connections open the exhibition including Susan Dacre, with whom she co-founded the Manchester Society of Women Painters, and the Reverend William Gaskell, husband of novelist Elizabeth Gaskell. The exhibition also brings together landscapes, allegorical works and later portraits revealing her as a continually inventive artist who engaged with current art movements and forged her own independent style shaped by her experience of light and colour in Italy. The impact of Italy comes through in the vibrant colours and gestural paint of her portrayals of women that are a highlight of this exhibition. She represented women of all ages and walks of life, challenging conventions of beauty and capturing female power, strength, hope and potential at a time when women’s roles and opportunities were changing. 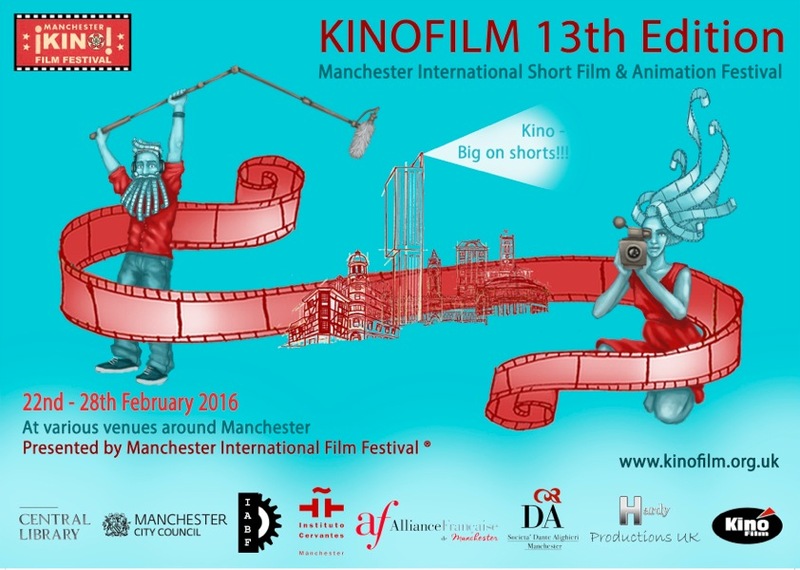 Manchester International Short Film Festival was established in 1995 and its focus is primarily on UK and European shorts. 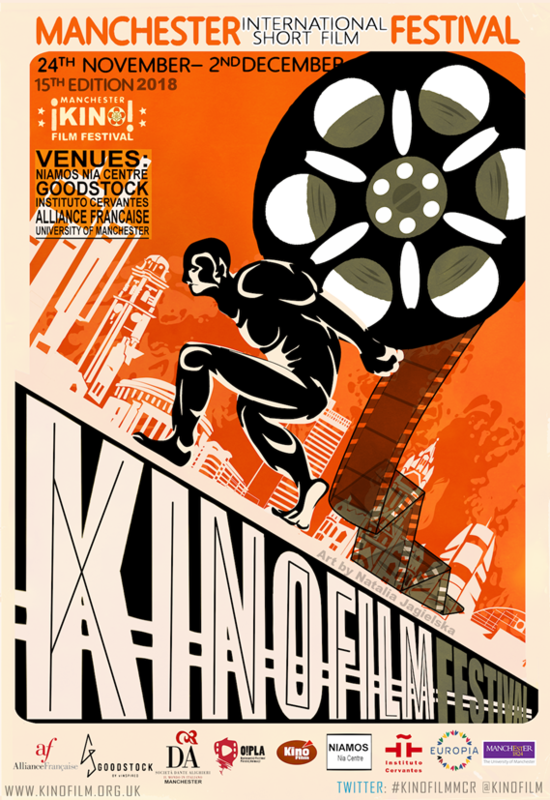 This year Instituto Cervantes and Societa’ Dante Alighieri, in collaboration with KinoFilm, are proud to offer an evening of Spanish and Italian shorts. Free admission for both programmes. Reservation required. 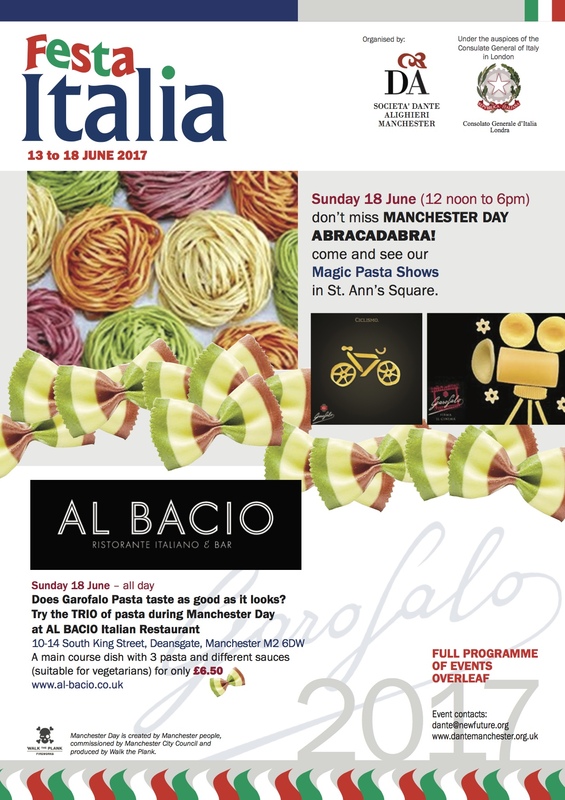 The Italian screening will be followed by a glass of Italian wine and a tasting of different chilled ‘pasta salads’ prepared with pasta GAROFALO. www.pastagarofalo.it/uk_en/garofalo-firma-il-cinema/ – GAROFALO shorts are found in their website and in YouTube. The evening will finish at 9.30pm (doors closed). The AGM (approx. 1 hour – Free admission) will be followed by a social APERICENA (glass of wine or fruit juice with buffet of Italian appetisers). Children are welcome. In order to organize the catering, members are kindly requested to book for the Apericena by the 18th of January, at the latest. No booking will be taken after that date. FREE admission. No need to pre-book. SEE YOU THERE! Bette Talvacchia is Director of the OU School of Visual Arts at the University of Oklahoma. She holds a Ph.D. in Art History from Stanford University. 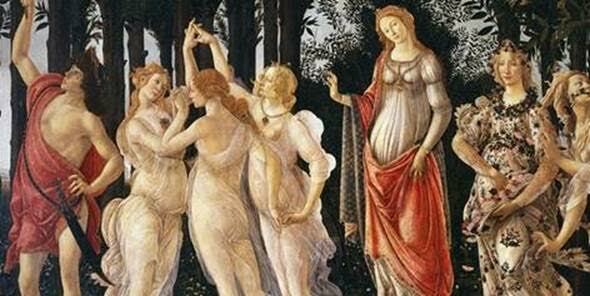 Her work as a scholar focuses on the art and culture of the Italian Renaissance, and on issues of sexuality and gender. Let’s celebrate the anniversaries for Marcello Mastroianni and Toto’ with a film included in the list “100 film italiani da salvare”. With a witty humour and a refreshing artlessness, the film brings us a flavour of a world long gone. Non mancate / Don’t miss it! Admission FREE – drinks can be ordered and paid for at the bar. If you wish to have a snack/dinner before or after the screening, food is available through a pre-order, mentioning “Film Dante”. Please contact The Town Hall Tavern – 0161 8321961. 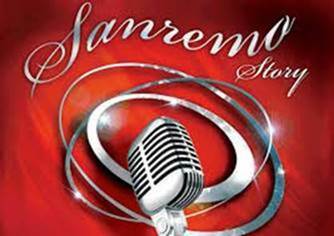 Following the 67th ‘Festival di Sanremo’, the Societa’ Dante Alighieri in Rome and the University Ca’ Foscari in Venice have awarded the prize for best text/wording to the song ‘Che sia benedetta’. The singer Fiorella Mannoia is “ambasciatrice della canzone italiana nel mondo”. Alida, Liliana, Rita and Stefano will present us with some ‘Hits’ from the Festival’s history. This talk by Dr Alan Rawes (Lecturer in Romanticism at the University of Manchester and Joint President of the International Association of Byron Societies) seeks to offer an answer to that question. This event is sponsored by The Byron Society. Eventbrite charges a booking fee. If you would like to avoid this, please contact the library directly to make your booking on 0161 236 6785. Following the 67th ‘Festival di Sanremo’ last February, the Societa’ Dante Alighieri in Rome, teaming up with the University Ca’ Foscari in Venice, has awarded the prize for this year’s best lyrics to the song ‘Che sia benedetta’. The singer Fiorella Mannoia, therefore, has been appointed “Ambasciatrice della canzone italiana nel mondo”. Further to this initiative, an event has been organized on Friday 7th April in which Alida, Liliana, Rita and Stefano will present us with some ‘Hits’ from the Festival’s history, which is the most popular Italian song contest and awards, held annually in the city of Sanremo, in Italy, and which launched the careers of some of Italy’s most successful singers, including Andrea Bocelli, Giorgia, Laura Pausini, Eros Ramazzotti, and Gigliola Cinquetti. A glass of wine with cantuccini and some Italian conversation will follow. 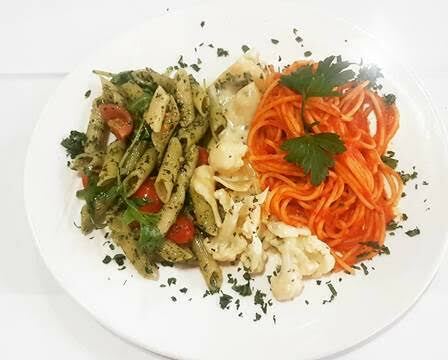 A main course dish with 3 types of pasta topped with different sauces (also suitable for vegetarians) for only £ 9.95 !! This witty, highly entertaining, and clever film remains the best attempt so far to ridicule the Mafia. Admission FREE – drinks and/or snacks can be ordered and paid for at the bar. Due to limited availability of seats, please confirm your attendance by Friday 20th October latest. The Instituto Cervantes and Societa’ Dante Alighieri invite you to an evening of Spanish and Italian short films. 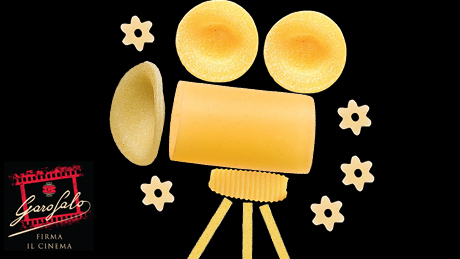 A short film produced by GAROFALO, The Wholly Family (in Italian with English subtitles), will be screened in the background while you mingle eating the pasta. This and other GAROFALO shorts are found in their website and in YouTube. 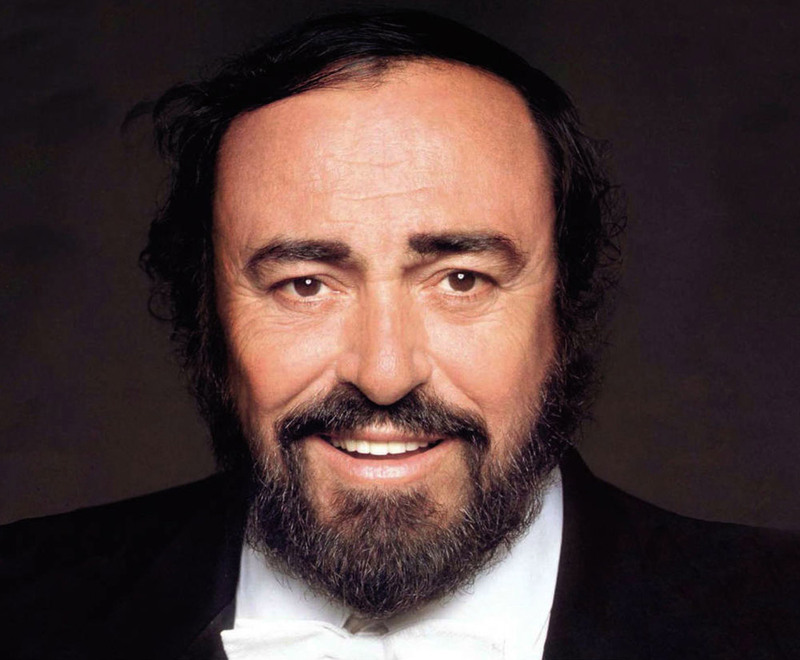 On 6th September 2007 Pavarotti lost his battle against cancer and died in his home in Modena. After 10 years of his passing, he’s still remembered and still loved as he was when he was alive. Today Roberto Mobili e Liliana Foligno-Smith will help us to remember the voice that for many is the voice of the greatest tenor in the history of opera. Come along for a special gathering to celebrate the ‘Maestro’ and to exchange the Season’s greetings over a glass (or two) of prosecco and a slice of panettone or pandoro. 2016 is the 20th anniversary of Societa’ Dante Alighieri in Manchester and it would be great if members and friends of the society would get together to celebrate the occasion. We will meet at the AL BACIO Restaurant for a social early dinner and to exchange the Season’s Greetings. The price for the 3 course meal (starter, main course, pandoro) will be £15.90 per person. Drinks have to be ordered and paid for (separately) at the bar. Your booking and relevant payment must be received by Wednesday 30 November AT THE LATEST. 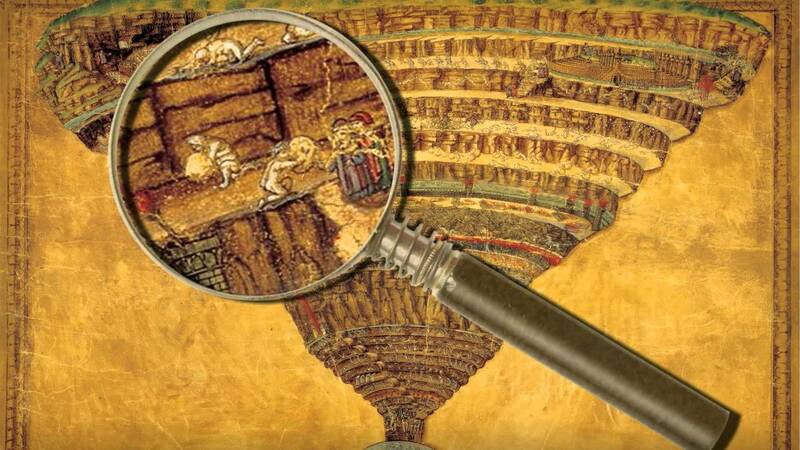 “Parco Letterario Terre di Dante” comes to Manchester! The vast territory between Florence and Ravenna is still imbued with the presence of Dante Alighieri. This is where he lived, suffered and was inspired to compose his immortal works. Today, seven hundred and fifty years after his birth (Florence 1265) and seven hundred years after his death (Ravenna 1321), the “Parco Letterario le terre di Dante” gives a presentation for us to discover or get a different perspective of such territory, now called “Dante’s Lands” – Lands of Art and Culture, and guides us along the path taken by the Poet, so that we can feast our eyes on the extraordinary places the father of the Italian language immortalised. A complimentary glass of wine and cantuccini will be offered during the interval. We do hope you will be able to join us for this special evening! Free admission – as seats are limited booking is required! This exhibition features the work of one of the radical originators and innovators of the European tradition of printmaking, Marcantonio Raimondi (c. 1480-c. 1534). Marcantonio was one of the leading printmakers of the Italian Renaissance and is best known for his groundbreaking collaboration with the Renaissance artist Raphael. 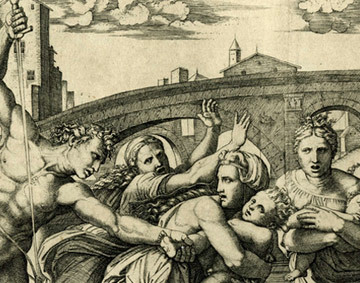 This is the first Marcantonio Raimondi exhibition for thirty-five years and the first ever in the UK. Showcasing the world-class collections of Marcantonio’s work at The University of Manchester, housed both at the Whitworth and The John Rylands Library, the exhibition will also feature loans of outstanding prints by Marcantonio and unique drawings by Raphael from major collections. Sibilia deals with the drama of unemployment for the Italian young generation, despite their academic high skills, in an amusing yet effective way by adopting a comic style, punctuated by surreal paradoxes. Nibbles and drinks will follow. Non mancate / Don’t miss it! 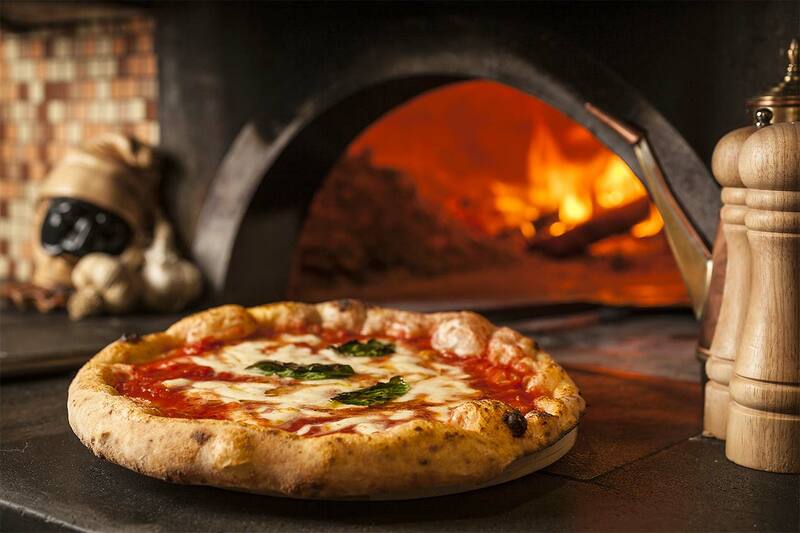 As we did in the past, our Society will celebrate Ferragosto with a GiroPizza. The ‘pizzaiolo’ will prepare several kinds of pizza – no need to order – and will serve them in slices, one after the other, until everyone has enough of it! When we stop he will prepare the pizza with Nutella as dessert. 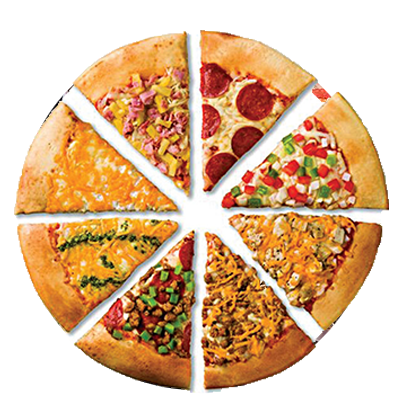 PLEASE NOTE: should you have allergies or be vegetarian you can order and pay separately for a pizza of your choice without being part of the GiroPizza. Kindly advise when booking. 1st rule: all people around the table must eat pizza. No other dish is allowed. 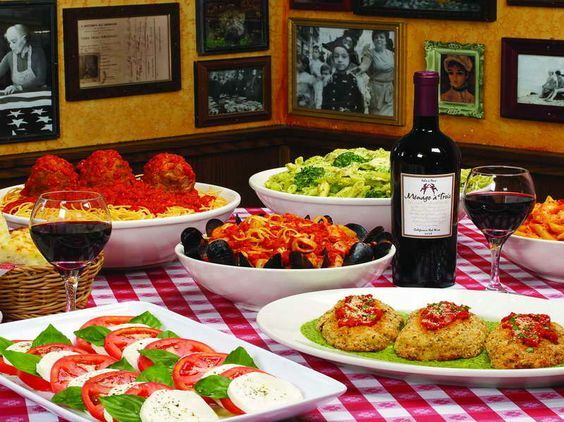 2nd rule: it has to be an evening of ‘parliamo italiano’…. 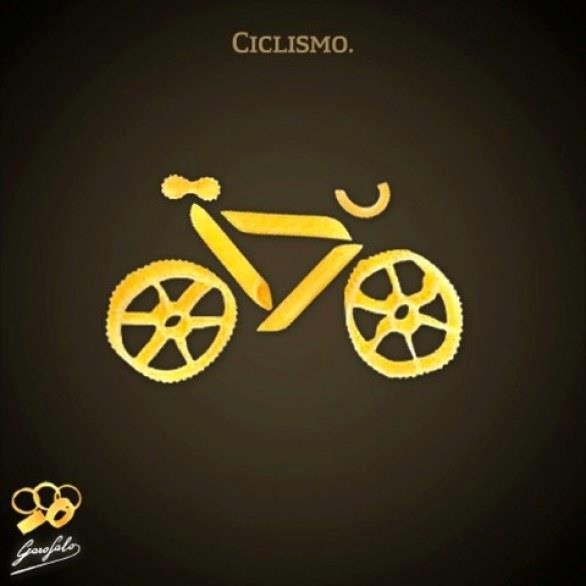 even ‘poco’…. Places are limited to 24 people. This paper will tell the extraordinary story of a major initiative to produce a deluxe edition of Dante’ s Divina commedia in 1911 under the patronage of KIng Vittorio Emanuele III. The tale involves a cast of the great and good of Italian literature, scholarship, and publishing in the early 1900s and an expected connection with the ‘Manchester Dante Society’ which was founded in 1906. Involving rare books, court cases, and battleships, this talk will tell the story for the first time of how this famous landmark edition of Dante’s classic poem came into being. 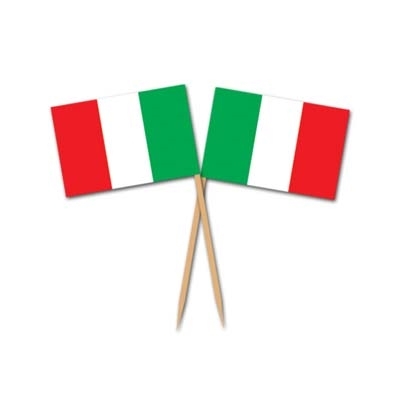 The evening will close with a social gathering and some conversation in Italian over a glass of wine and nibbles. COM.IT.ES (Comitato degli Italiani all’Estero) Manchester presents ‘Emergency Exit’, a documentary project about Italy and the consequences of the last 20 years of politics on the young generation. A lot of young Italians leave their country every year and more than 90% of them are graduated and professionally skilled. They move away because of a lot of reason, but nobody in Italy seems to have the desire to listen or care for them. 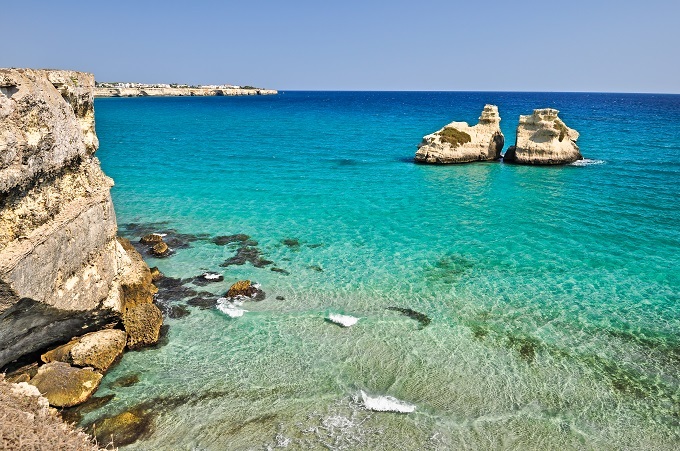 The director decided to start a trip: she travelled around six (and more) European countries, from Paris to London, Berlin, Wien, Bergen and Tenerife, finding young Italians who left Italy, looking for better opportunities of life and career. Six stories of ordinary separation, one question: what happened to Italy? The young director Brunella Filì will be present at the screening. The project has been officially selected to the VII Edition of Italian Doc Screenings, the most important documentary showcase in Italy. Other Official selections are: Festival del Cinema Europeo 2014, Madrid International Film Festival 2014 (Best Foreign Language Documentary Award), South Easter Film Festival 2015 (USA), Scarborough Film Festival – with the support of HotDocs (Toronto, Canada) and many more. 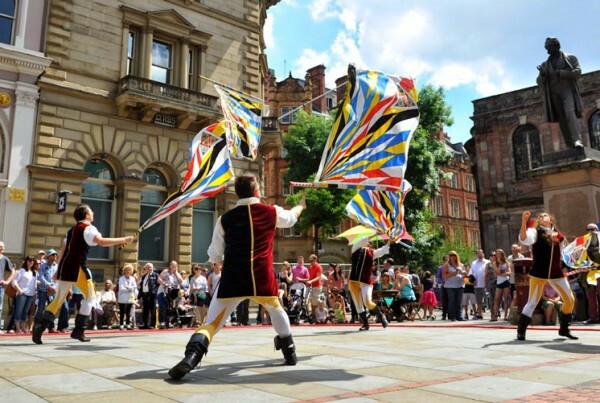 Keep your diary free from 19 to 26 June when Societa’ Dante Alighieri in Manchester will celebrate Italy with several events starting with the Manchester Day/Parade on Sunday 19 June when we will welcome back the SBANDIERATORI from Corinaldo (Marche). Check your mail near to the time! Charles Burdett is Professor of Italian at the University of Bristol, and he is the Principal Investigator on the large grant, ‘Transnationalizing Modern Languages: Mobility, Identity and Translation in Modern Italian Cultures’ that is a beacon project for the AHRC’s ‘Translating Cultures’ theme. Free admission. No need to pre-book. The Instituto Cervantes, the Societa’ Dante Alighieri and the Alliance Française are hosting a Round table on Climate Change. Experts from Italy, Spain and France will meet up to debate the contributions brought about by the COP21. What agreements were made? Which ones can truly be followed? Which ones are the most crucial? How will the transition from talks to actions occur? Isabel Douterelo – Isabel Douterelo is the Spanish guest speaker, invited by the Instituto Cervantes. She is a professor and researcher at Manchester Metropolitan University in the Department of Science and Environment. Her work focuses, among other things, on the microbial ecology of drinking water distribution systems. Monica Di Gregorio – Monica Di Gregorio will also attend the round table as the guest speaker for the Società Dante Alighieri. She is a Lecturer in Environmental Politics and Governance at the School of Earth and Environment, The University of Leeds. Her current research examines climate change politics and policy at the global and national level, with particular attention to the developing world. Cyril Caminade – Cyril Caminade will be the guest speaker for the Alliance Française. Cyril has obtained his PhD in climatology (climate change in sub-Saharan Africa) at CERFACS and at the Université Paul Sabatier in Toulouse in 2006. He joined a post-doctoral position at the University of Liverpool in 2008 and focused on modelling and mapping the risk of several key vector-borne diseases over Europe and Africa under climate change scenarios. Join us on 14 April for the debate and interact with our experts! Throughout the evening, you will also be invited to take a look at the “Climate, State of Emergency” photography exhibition. The Alliance Française Foundation organised a photography contest and the winning photographs will be displayed in several countries. These photographs will be exhibited at Instituto Cervantes. Wine and nibbles will be served after the round table discussion. Mozart’s opera is the great composer’s most divisive and controversial work. Pre-opera talk Roger Hamilton offers a closer insight into the music and historical context of Mozart’s opera. A glass of Primitivo wine and nibbles will follow. Our society is delighted to have the director Marinos Kallikourdis as a special guest from Italy. The Alliance Française de Manchester and Societa’ Dante Alighieri Manchester invite you to an evening of French and Italian short films (with English subtitles). Q&A with Marinos Kallikourdis, director of two of the Italian shorts, will follow. The screening will be followed by a social gathering with French and Italian wines and nibbles. Join us at Cervantes also on Wednesday 24 February for an evening of Spanish short films. And on Friday 26 February don’t miss “Crossing borders”, a snapshot of Europe – Greek, Portuguese, Irish, Danish films! You can enjoy these short movies, with English subtitles, at the Cervantes. Booking required. Join us for this unique chance to hear Vivaldi’s The Four Seasons, played on period instruments from the original manuscript of the music. 7.00pm: meeting point near the ticket office. “The only surviving manuscript of these famed works is part of a collection of 95 Italian concertos held by Manchester’s Henry Watson Music Library. It contains subtle differences compared to the more widely-heard version of Vivaldi’s famous piece. Violinist Adrian Chandler has made a new edition from these parts which are written in Vivaldi’s father’s hand. The concert also includes a rare outing for the violin in tromba marina – a special ‘loud’ violin recreated from archive material discovered in Venice”. The AGM (maximum 1 hour) will be followed by a social APERICENA (glass of wine or fruit juice with buffet of Italian appetisers/tapas). Children are welcome. You are invited to join them for a glass of wine or pint of beer at a meeting with the artists after the concert. L’APERITIVO DI NATALE: IT’S PROSECCO TIME! Come along for a special Aperitivo to exchange the Season’s greetings over a glass of Prosecco! From the aperitif through to the dessert, Prosecco DOC gives an all-Italian touch of class that enhances every type of dish, from the simplest to the most elaborate. It is a source of inspiration for the creation of new cocktails and aperitifs. Alida will show you how to prepare (and taste) the Prosecco aperitifs typical of the Veneto region. You will also have the opportunity to follow a short video presentation (in English and Italian) by the CONSORZIO DI TUTELA DELLA DENOMINAZIONE DI ORIGINE CONTROLLATA PROSECCO (Consortium for the Protection of the Registered Designation of Origin Prosecco) – Treviso. The last few weeks before Christmas are busy and tiring. After a day of shopping in town join us and relax with a glass of Italian sparkling wine and a slice of Panettone and Pandoro. 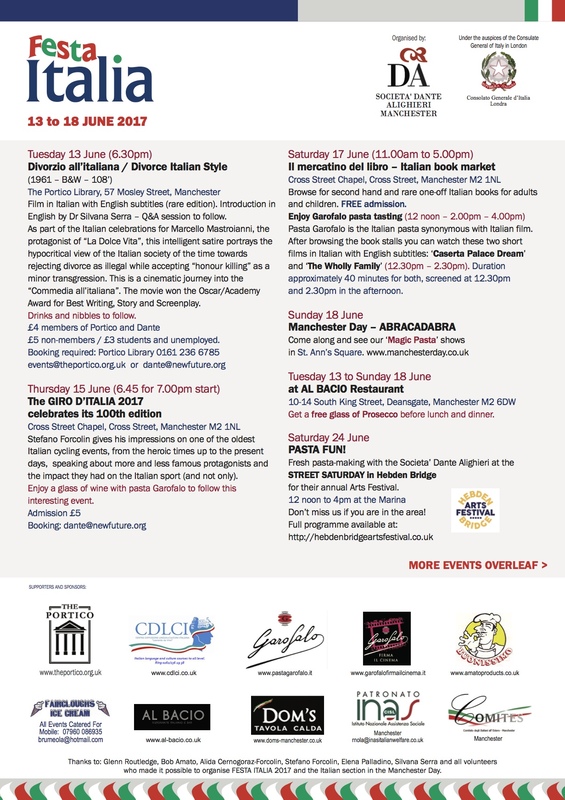 To celebrate the XV Week of the Italian Language in the World / XV Settimana della Lingua Italiana nel Mondo, join us for an unusual event. Following the invitation we launched a couple of months ago, Danilo, Frances, Liliana, Rita, Roberto, Shannon and Silvana (for Antonietta) – will each present the Italian song that is linked either to a special moment in their life, or to a particular poetical consideration, sharing it with us through a YouTube video. As a cherry on the cake, our member Jacek (pianist) and his friend Ravi (tenor) are preparing for us a lovely surprise. A glass of wine and nibbles will follow, with the opportunity to speak some Italian in a relaxed, informal manner. Don’t miss it! Galileo Galilei was an Italian astronomer, physicist, engineer, philosopher, and mathematician who played a major role in the scientific revolution during the Renaissance. He is widely regarded as one of the greatest scientists of all time and his investigation of the laws of motion and improvements on the telescope helped further the understanding of the world and universe around him. He has been called the “father of modern observational astronomy”, and the “father of modern physics”, and “the father of modern science”. The evening will continue with drinks and nibbles. Love Italian cooking? 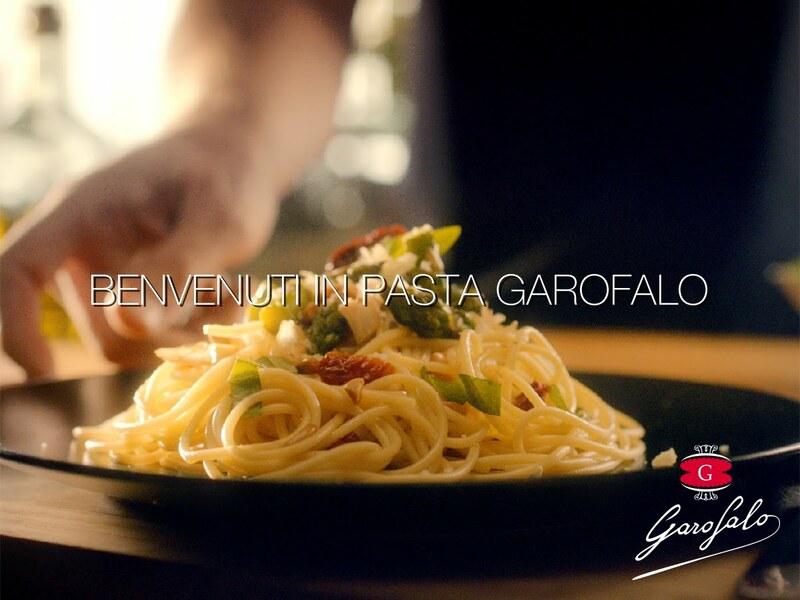 Discover the world of Barilla, Italy’s N.1 Pasta! Try a variety of delicious pasta and the authentic Italian flavours of Barilla ready-made sauces in our all-you-can-eat pasta event. No need to order: you will be served several pasta dishes with different sauces and you can eat as much as you like. 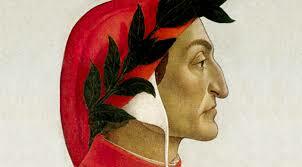 The event is promoted by Societa’ Dante Alighieri. You can book directly with the restaurant for you and your family/friends OR you can book with us (dante@newfuture.org) and we will organise a table for our group at 7.00pm. In occasione del 750esimo anniversario della nascita del padre della “Divina Commedia”, la nostra Società ha deciso di celebrare il nostro Poeta con un evento dedicato alla lettura di alcuni versi tratti dall’Inferno. Soci e simpatizzanti della Società Dante Alighieri di Manchester saranno i benvenuti. The film is based on the American novel Human Capital by Stephen Amidon and it is set in a town in Brianza, an affluent area near Milan. The destinies of two families are irrevocably tied together after a cyclist is hit off the road by a jeep in the night before Christmas Eve. It is a drama/thriller aiming to portrait the impact that the cynicism pervading the economic driving force of our Western society is having on the life of individuals and communities. The film was awarded Best Film at Globo d’oro Awards, and with seven Silver Ribbon at the David di Donatello Awards, as Best Film, Best Screenplay, Best Photography, Best Protagonist Actor and Actress (Valeria Bruni-Tedeschi was also awarded Best Actress at the 2014 Tribeca Film Festival), Best Actor and Actress non-protagonist. 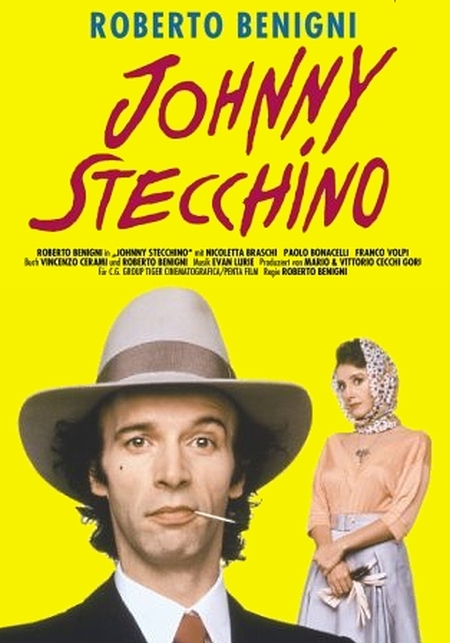 The film was selected as the Italian entry for the Best Foreign Language Film at the 87th Academy Awards, but was not nominated. FREE admission Don’t miss it! / Non mancate! VENUE: The International Burgess Foundation, Engine House, 3 Cambridge Street, Manchester M1 5BY – street parking/pay & display in Cambridge Street. Just come along, bring your baby’s preferred blanket and toy, and join us for songs, stories and a whole load of fun in Italian. IT – Quest’anno avremo come invitata speciale al nostro scambio di auguri natalizi, la musica immortale di Giuseppe Verdi.In occasione della celebrazione del secondo centenario della nascita del grande Italiano, saranno proposti dei brani dalle sue opera con il brindisi come soggetto.Omaggeremo anche il grande rivale Wagner di cui ricorre pure il bicentenario della nascita e Mascagni di cui ricorre il centocinquantenario.Preparatevi quindi a “libar nei lieti calici” con prosecco e panettone.EN – This year we will have as special guest at our Christmas meeting the everlasting music by Giuseppe Verdi.On the occasion of the second centenary of the birth of the great Italian, we will propose some pieces of his operas that have the toast as subject. We will also pay homage to Verdi’s great rival Wagner for his bicentenary and toMascagni four hundred and fifty years from his birth. Join us to celebrate Yuletide in festive mood, and be ready to ”libar nei lieti calici” with prosecco and panettone. Booking will be appreciated to prepare panettone e prosecco accordingly. IT – Nella poetica edonistica del Decamerone, capolavoro del Boccaccio, il cibo, il vino e il gusto per la buona tavola hanno un ruolo importante. Nell’ occasione del settimo centenario della nascita dell’ autore, accanto e ad integrazione delle celebrazioni accademiche, si propone una rivisitazione in chiave “filologico-gastronomica” di alcune novelle. Dalla descrizione del paese di Bengodi, all’omaggio a Certaldo, borgo natio, un percorso culinario ci portera’ alla scoperta di cibi a volte dimenticati e a sapori di antica tradizione. Poiche’ alla fine si prevedono dei piccoli assaggi, si prega, se possible, di confermare la presenza all’evento con alcuni giorni di anticipo. EN – In Decameron’s hedonistic poetics, the important role taken by food and wine proves us that Boccaccio was a real gourmet. On the occasion of the seventh centenary of his birth, to integrate the academic celebrations, we suggest a “gastronomic” revisiting of some of his tales. From the portrayal of “il paese di Bengodi, to the homage to Certaldo, Boccaccio’s homeland, a culinary journey will take us to discover forgotten dishes and traditional flavours. Following will be a tasting of some of the old recipes inspired by the masterpiece. If possible, please confirm your attendance few days before the event. Booking will be appreciated to prepare the homemade ‘nibbles’ accordingly.